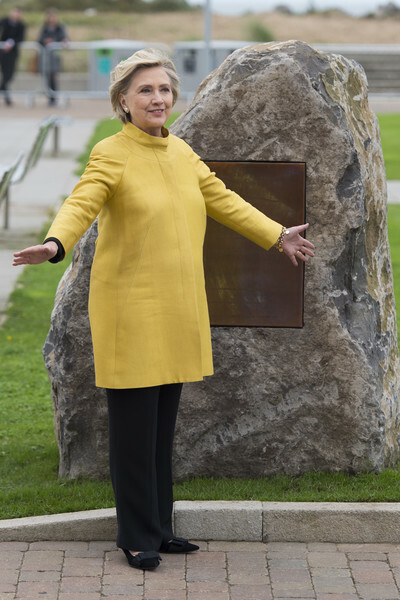 FTR: The Degree was Hillary Clinton’s EIGHTH Honorary Doctorate – The Law School Name is a First! My goodness gracious! People who are so excited about Hillary Clinton receiving an honorary doctorate from Swansea University either have short memories or haven’t been paying attention. This was Hillary’s eighth honorary doctorate. What is worth celebrating as a first, is her name on the Swansea University School of Law! The plaque on this stone, unveiled Saturday, designates the school The Hillary Rodham Clinton School of Law. Here is a list, admittedly from Wikipedia with a wee bit of supplementation from me, of her previous doctoral honors. I did not begin keeping records of her honors until mid-2008. In June 1995, Mount Saint Vincent University awarded Clinton an honorary Doctor of Humane Letters. On August 26, 2004, Clinton was awarded the honorary degree of Doctor of Laws, (LLD) by the University of Ulster. 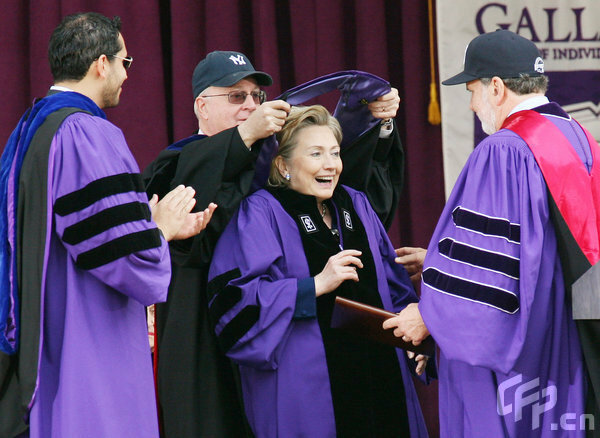 On May 13, 2009, Clinton received an honorary Doctor of Laws degree from New York University and spoke at their 177th commencement at new Yankee Stadium. On May 25, 2009, Clinton received an honorary Doctor of Law degree from Yale University, from whose law school she had graduated three dozen years earlier. These degrees represent only a small number of the many honors Hillary has been awarded over the years. All are very well-deserved. Above all, Hillary is our PRESIDENT. The highest honour that nobody can deny it and nobody can take it away from her. Proud of our Madam President Hillary Clinton.